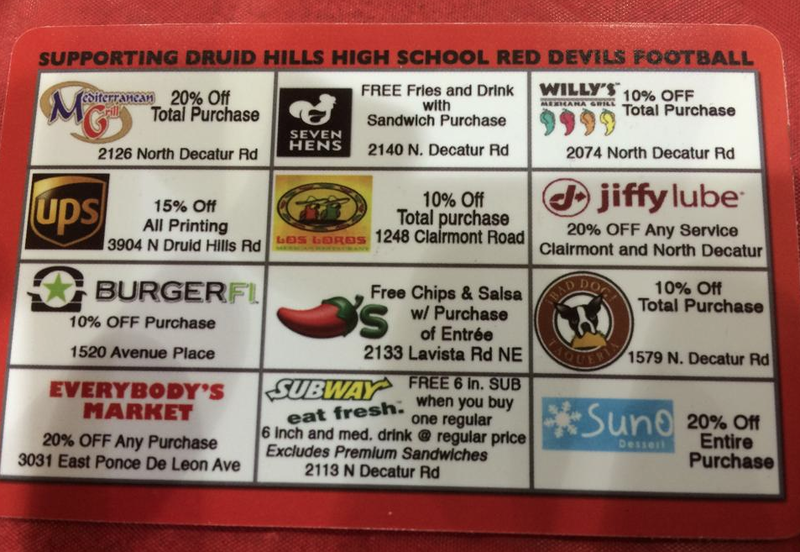 Support the Druid Hills Red Devils and local businesses while saving some cash --what's not to like about this discount card?! Like magic and through July 2015, your $10 investment turns into 10-20% off at nearby restaurants such as Mediterranean Grill, Willy's, Los Loros, Seven Hens and Suno, among others. 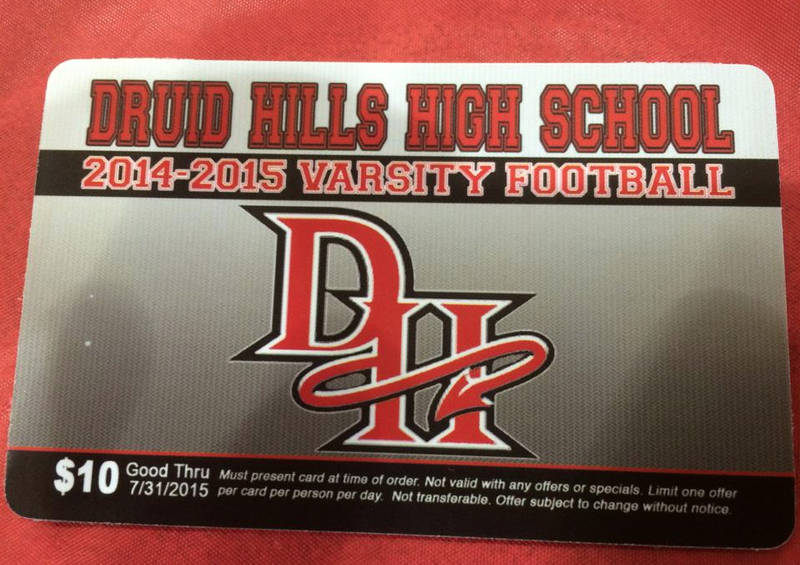 You can also get discounts at UPS and Jiffy Lube. See image below for applicable locations.